For REDS, customer satisfaction is paramount, so when EDF auditors; Dean Brady and John Hughes gave REDS a glowing report after our annual ISO 9001 audit, we were delighted. The auditors toured our facility and met everyone who works here, getting a real insight into the work we do here, levels of commitment and how we manage our systems. We are all very proud of our work but it’s always good to hear someone talk favourably about our efficiency. We were also pleased with the comment that they were impressed with our philosophy of continuous improvement. As a company that always strives to be the best it can be, two of our key staff, Martina Dempsey and Leila Brookes, attended a training session at Heysham on document security and BPSS awareness training, to further enhance their knowledge. It was a very interesting and informative course, and further enhanced our security clearance system. I would like to take this opportunity to thank Andy Smith, Penny Fry and Jo Fulwood of EDF for their time in organising this event which was well received. Additionally on behalf of the board we want to thank all of our employees for their contributions to the day to day success of our business. EDF are one of our core customers and to receive such positive feedback is refreshing and is a reflection of the loyalty and dedication of our workforce. As part of REDS continual improvement plan we will continue to build on these foundations and use it as a starting point for further enhancement of our services for the benefit our clients. FIFE Renewables Innovation Centre (FRIC), situated within the acclaimed Energy Park Fife, is pleased to welcome its latest tenant Reach Engineering & Diving Services (REDS), a market leading provider of specialist access and engineering services to the marine and energy industries. Located on the Forth estuary, in Methil on the East Coast of Scotland, FRIC is an integral part of Energy Park Fife and Scotland’s Renewable Energy offering. Situated alongside, and powered by a range of low carbon technologies, the Centre combines high-tech business facilities and the latest in sustainable design. This landmark development is an ideal home for businesses involved in the renewables industry and will provide REDS with an excellent Scottish base from which they can service the marine industry. renewable energy, subsea cable installation providers, port and local authorities, nuclear power stations, major utility providers, and civil and consulting engineers around the world. Providing creative solutions for: Diving, Rope Access, OSP & Tower Access, Confined Space Operations, and Shore End Cable Installation & Buriel. For more information on FRIC please contact Dot Smith at dorothy.smith@fife.gov.uk or Barbara Whiting at barbara.whiting@fife.gov.uk. Fife Energy Park’s flagship development. 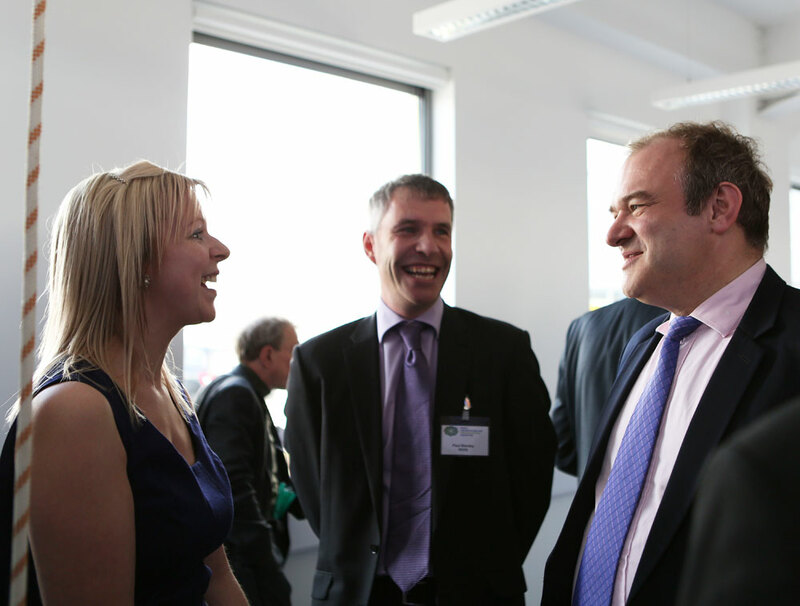 Fife Energy Park’s flagship development, the Fife Renewables Innovation Centre, has been officially opened today (Thursday 18 April) in Methil by the Rt Hon Edward Davey MP, Secretary of State for Energy & Climate Change. The £3m, state of the art facility is a centre of excellence for the fast moving Renewables sector offering superb, flexible and affordable business space to clients with excellent in-house support. The centre has already beaten all its original targets, with over 50% of the units now occupied. “The centre is a superb example of Fife leading the way in attracting investment, encouraging innovation and creating jobs in the renewable energy sector. This benefits both Fife as well as the rest of the UK. “Not only is Fife responding to the fast growing demands of renewable energy, they are creating the best environment for businesses to develop. This location on the east coast of Scotland is excellent and the facilities offered at the Innovation Centre are ideal for any investor. Over 100 leading industry names in the Renewables Sector took part in a packed programme in Centre to promote the technologies being developed by tenants already in the Centre and attract new occupants. “Methil is fast becoming a leading centre for Renewables in Scotland and the UK. Other innovative and dynamic businesses on site at the Energy Park include BiFab, who started along in Burntisland. Not only has BiFab been successful in securing many major offshore energy contracts, this company has shown outstanding commitment to the young people of Fife and have recently recruited 20 apprentices from the local area with support from the Council, given them prospects for an excellent future. This has been made possible through the £5m investment we have made over the next three years in Apprenticeships, so we can grow the workforce of the future while meeting the skills needs of industry. 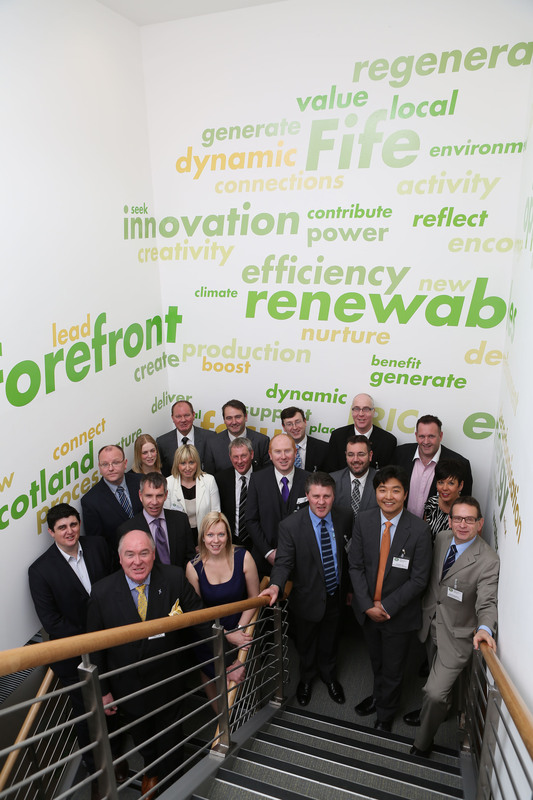 Fife Renewables Innovation Centre is a further expansion of the Energy Park Fife, a joint venture project between Scottish Enterprise and Fife Council and one of the fastest growing renewable energy clusters in the UK. Since its completion in June 2012, occupancy for the Fife Renewables Innovation Centre is well ahead of projections with 52% of the units now leased against a target of 20% by the end of the financial year in March 2013. Its impressive list of tenants includes Samsung Heavy Industries who are installing and testing a 7MW offshore wind demonstrator turbine at Energy Park Fife; Reach Engineering & Diving Services, who offer specialist access and engineering services; Hydrosphere, a leading supplier of marine navigation aids and Energy Project Management, who specialise in taking a range of renewable technologies including the Flumill tidal device from concept to commercial realisation. As an international business operating globally, REDS aims to conduct its business in a socially responsible manner, to contribute to the communities in which it operates and to respect the needs of employees, investors, customers, suppliers, regulators and other stakeholders.